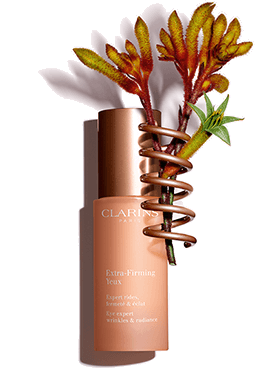 The Extra-Firming range returns with Extra-Firming Eyes and Extra-Firming Tightening Lift Botanical Serum, a dynamic duo that gives an instant lifting effect. 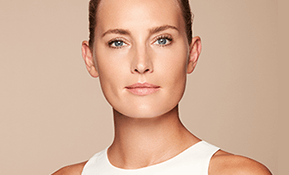 It’s a skincare range that visibly improves the effects of reduced firmness, including small wrinkles in the corners of the eyes and a less defined facial contour. Targets firmness connections and collagen production. Targets nests of young cells to stimulate them and compensate for their dwindling numbers. 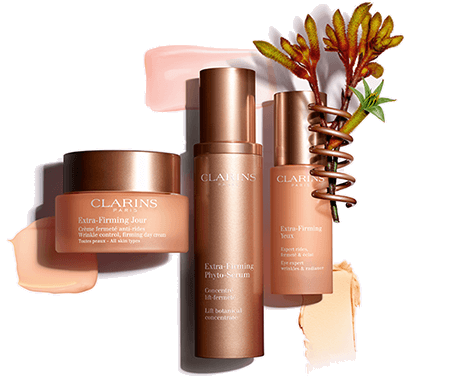 It targets the main concerns of women aged 40+ identified by Clarins Research*: crow’s feet, puffiness and age-related dark circles. 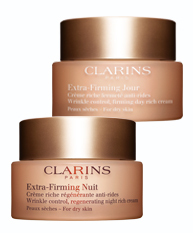 Recognized draining action, helps to further reduce the appearance of puffiness and dark circles. 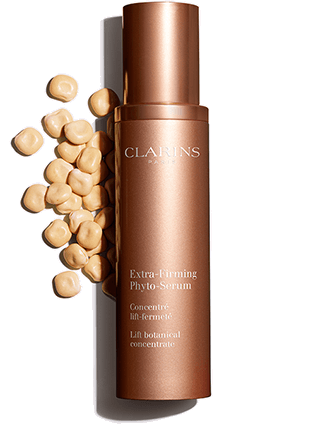 This new Extra-Firming serum gives visibly more contoured features, visibly firmer skin, and a smoother skin texture. 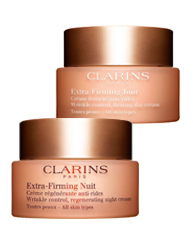 Clarins’ new tightening sugars! The features instantly appear smoother and fine lines are reduced. 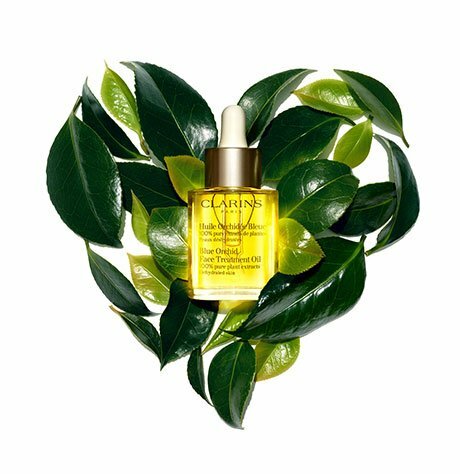 Retightens firmness connections for visibly younger skin.